Product Consists: Kundan Pearl Rakhi nicely tied on a designer Card. Round shaped Kundan pearl Rakhi dial with matching thread looks beautiful. 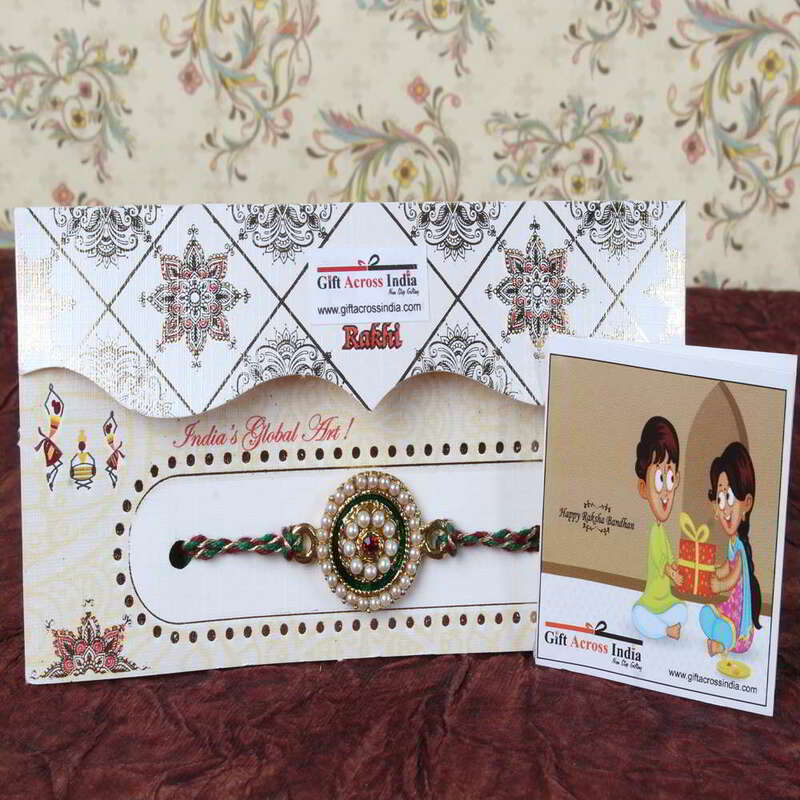 This special Rakhi is tied on a designer Rakhi special card which keeps it safe and secure. 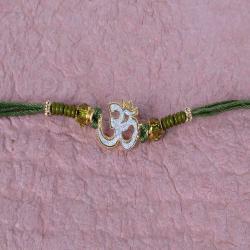 The look of the Rakhi is very classy and rich which will mesmerize all in its beauty. The dial of the Rakhi will cover the wrist and will embrace it with its look. 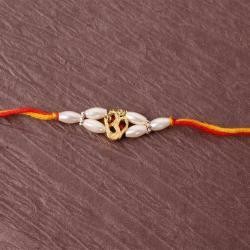 Make this special Rakhi be part of your celebration and let your loved one feel the love and care in it. 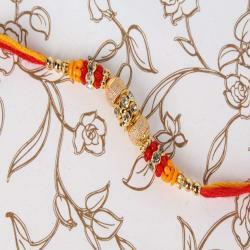 Sending this special Rakhi to your loved one will make some awesome memories which will be cherished for life. 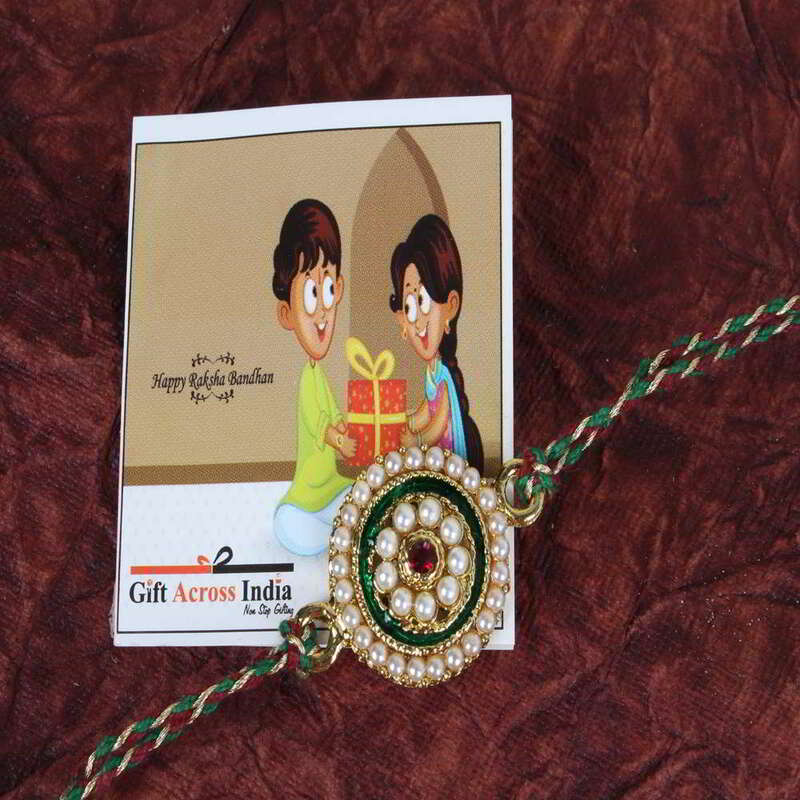 Product Consists: Kundan Pearl Rakhi nicely tied on a designer Card.